Listen to Brian Bahouth’s eye-opening interview with Omaha drug attorney Daniel Stockmann about controversial tactics to pull over motorists. Top Nebraska Drug Attorney Has The Experience You Need To Win Terrified of losing everything you have ever worked for because of a drug arrest? Watch to learn how a top Nebraska Drug Lawyer, Daniel Stockmann, can successfully guide you past your legal problems. Are Out Of State Drivers Targeted On I-80? New data obtained by WOWT 6 News shows more out-of-state drivers are given tickets than Nebraskans since Colorado relaxed its marijuana laws the first of the year. 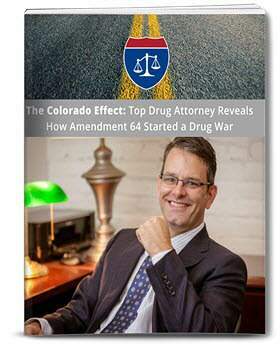 Understanding I-80 Drug Arrests and What They Mean for You Listen to an interview by Marijuana Public Media with attorney Daniel Stockmann explaining the staggering legal difference between traveling through Nebraska with marijuana oil vs. leafy marijuana and what you may risk. Understanding Traffic Stop Protocols & Your Rights Do you know anyone who has been pulled over by the police? Chances are you do and I sure know several people who have been in the same situation. You may now be thinking if you could be next, and the answer is YES, you could be next. Unlike so many people in this professional field, who like to give you "maby this or that" kind of talk, Dan's answers are direct and to the point. He is very professional and definitely will not waste your time. I was very pleased to do business with him and customer service was beyond outstanding. I would definitely recommend to use his Law firm to anyone who might find themselves in despatate and unfortunate situation. Dan did a great job with a great final result. Dan explained the steps we needed to take and from getting bail and thru out the process he kept me informed, and each step turned out as he explained. The fee was fair. I could not have been better represented. Dan was the Real Thing, with a hell of a bedside manner! Thank you again! Very professional and highly qualified legal representation. Why anyone would choose to live in Nebraska is beyond me, but thank you for making that sacrifice and assisting me with my legal troubles. Highly recommended, very professional and intelligent. Dan is one of the most experienced lawyers I have ever met. He is very professional and courteous. If anything serious ever happens and you are in need of legal council, he is the first person to call. Dan had my back through everything and his communication skills are second to none. I cannot say enough nice things about Dan and the way he intelligently picked holes in the case I was involved in. Dan saved me from a nightmare scenario and I will forever be grateful for his hard work and patience. DAN IS WORTH HIS WEIGHT IN GOLD! Hiring Dan turned a life changing mistake into a hard lesson learned. From the first time we met he was respectful, straightforward, and most of all gave me the feeling that he actually cared about my case. The two other attorneys before him were just chasing their fee. Dan was very responsibly priced and maintained communication throughout the case. I can't recommend him enough. Thanks again, Dan. No time, no probation, no felonies. Mr. Stockmann continued to work towards the best outcome for my son despite the fact my son worked AGAINST his best interest. Mr. Stockmann is a VERY professional attorney. We are grateful he hung in there despite having a difficult client. The best outcome was achieved under the circumstances and we are all VERY satisfied with his services. No one has a magic wand to my knowledge. Mr. Stockmann comes close. Call him. Daniel is very professional and quick to respond. We are so thankful to have found him. His legal service is in line with the reviews that I had read. At first I was skeptical, but now I know we made the right decision by going to him. Our family is thankful for the affordable price and split payment option. I highly recommend his legal services. If you're in legal trouble in the state of Nebraska then Daniel Stockmann is who you want to represent you in court. Worth every single penny. Excellent. Couldn’t have asked for better representation than Dan. Extremely courteous and professional. Always communicated with me personally, via email or cell phone. If I ever had a question or needed to get a hold of him it was never an issue. Consistently gave me a heads up when things were about to happen or if a deadline for paperwork was approaching. And most importantly he did his job. I would highly recommend him to anyone in the Nebraska area, whether you’re fighting a speeding ticket or a more serious infraction; Dan is the man!